Y Soft Validated as a Digital Transformation Leader in Quocirca Print 2025 Report | Industry Analysts, Inc.
Brno, Czech Republic and Dallas, Texas – March 5, 2018 – Y Soft® Corporation, a leading enterprise office solution provider, today announced that YSoft SafeQ® is the best positioned provider for enterprises’ digital initiatives as identified in Quocirca’s report, Global Print 2025. Y Soft is pleased to offer a complimentary executive summary containing the report’s findings. In its extensive report on the future of the print industry, Quocirca provides a glimpse into the digital workplace of 2025. Although print continues to play a role, its importance is diminished as businesses become focused on technology and processes that allow them to be more efficient, productive and secure. In the Quocirca study, customers identified seven core Digital Transformation areas that are capturing their attention. Y Soft has anticipated these trends and has ensured that YSoft SafeQ, its enterprise workflow solutions platform, has the ability to meet customer’s digital transformation lifecycle needs today and onward toward 2025 as outlined below. YSoft SafeQ supports private and hybrid cloud scenarios. With YSoft SafeQ integration with Azure AD services, customers can have a single-sign cloud authentication for cloud-based services and multifunction devices or networked printers. Secure mobile printing is a hallmark of YSoft SafeQ. Additionally, YSoft SafeQ is the only certified Enterprise Print Services provider for Mopria, an industry alliance providing standards for printing on Android devices. In addition to secure access to print devices and pull-printing, YSoft SafeQ encrypts communications within YSoft SafeQ and communications to other systems (for example, 3rd party document repositories, shared network folders and email services) and will provide the corresponding tools to our customers in order for them to be fully GDPR compliant. YSoft SafeQ’s automated scan workflows make moving from paper to digital easy for users and administrators. With a growing library of 3rd party connectors, organizations have a secure way to lessen use of paper and eliminate human errors associated with paper processing or basic scan to email. Since 2015, Y Soft has made its entire YSoft SafeQ platform, support and services available under a subscription pricing model for all brand name multifunction devices. Through YSoft Labs and Y Soft Ventures, Y Soft uses robotics and AI to uncover future benefits in the areas of security and quality assurance testing. YSoft SafeQ’s comprehensive reports are easily integrated with leading analytic applications such as PowerBI, Tableau and NewFieldIT’s CompleteView, enabling customers to make fact-based optimization decisions. “The Global Print 2025 study reveals that the industry faces challenges ahead in addressing inevitable digital disruption. Y Soft demonstrates the agility and vision to be at the forefront of this changing industry landscape through its innovative products/solutions that support secure, digital workflows in the mobile, cloud enabled future workplace,” said Louella Fernandes, Principle Analyst, Quocirca. The Quocirca Global Print 2025 report also identifies 3D printing as an area where providers can be more relevant to customers’ digitalization needs. YSoft be3D® eDee is the only 3D solution that combines a 3D printer with full 3D print management features. As part of the YSoft SafeQ platform, 3D print management solutions give customers the ability to leverage their investments for the future and offers print service providers a new area for growth. Quocirca makes the full study available for purchase from its research project website www.print2025.com. Y Soft provides intelligent enterprise office solutions that help build smart business. 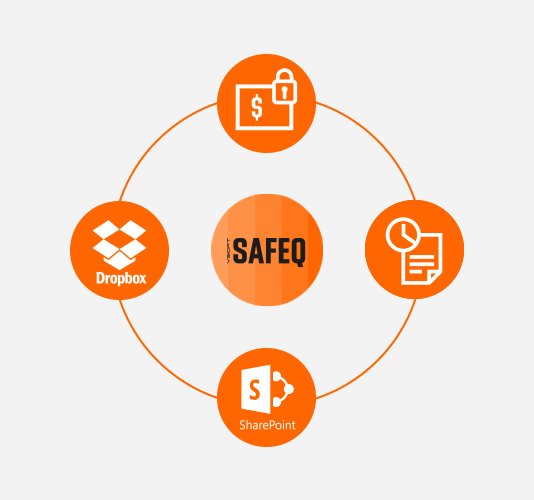 Our YSoft SafeQ workflow solutions platform is used by corporations and SMB organizations to manage, optimize and secure their print and digital processes and workflows. Our 3D print solutions are focused in the Education sector where they provide unique workflow and cost recovery benefits. Founded in 2000, the company is headquartered in Brno, Czech Republic, with offices in North and Latin America, Europe, Middle East/Africa (EMEA) and the Asia Pacific region (APAC). For more information, please visit www.ysoft.com. This entry was posted in Y Soft and tagged digital transformation, quocirca, Y Soft by IA Staff. Bookmark the permalink. ← Previous Previous post: BEI Services Celebrates 25 Years!